Over a thousand photos, videos, manuscripts, texts, paintings and virtual tours make up “The Routes of Cervantes”, one of the most comprehensive virtual exhibitions about Cervantes to date, presented today by Google in collaboration with the Spanish Ministry for Education, Culture and Sport. It is the first time that eight leading cultural institutions from around Spain collaborated with the Google Cultural Institute to bring a writer’s legacy to new life online. In just a few taps, users can find themselves in the fascinating world of Cervantes. 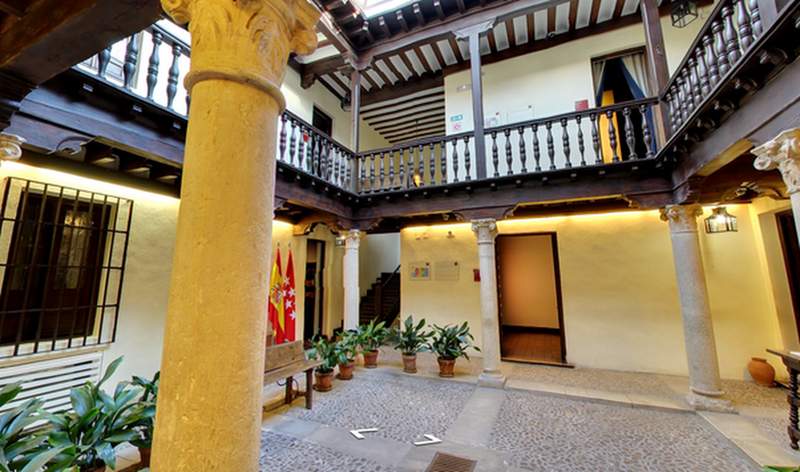 You are invited to step into the home of the Spanish author and go on virtual tours through the most important places in his life, like Casa Natal, the house where he was born, or Casa de Valladolid, the house where it is believed that the writer penned the last lines of the Quixote. You can now take a close look at the the oldest surviving autograph of the literary genius and explore the famous portrait of Cervantes - a mystery in itself. Painted based on Cervantes' written description of himself, researchers have since not been able to confirm with certainty who painted the piece and whether it was indeed painted in the author’s lifetime. Or join renowned historian Alfredo Alvar Ezquerra, the curator of this project and member of the Spanish Royal Academy of History on an interactive experience built with the support of Google’s specialists, that takes viewers to through an outstanding selection of manuscripts and paintings. Cervantes’ influence extends well beyond his home and the Hispanic culture. Trace his impact on global art and culture through a wide collection of lithographs by Gustave Doré and William Hogarth, paintings by international artists inspired by the work of the famous author and a photo collection from Agencia EFE, which shows the influence of Cervantes today and across the world. In collaboration with Acción Cultural Española, Agencia EFE, Archivos Estatales, Asociación Española de Pintores y Escultores, Museo Casa Cervantes de Valladolid, Museo Casa Natal de Cervantes, Real Academia Española and Teatro Real, as a part of the 400th anniversary of the death of Cervantes, this online exhibition pays tribute to one of the greatest writers. We wish to offer this to all who love the Spanish language and literature. The exhibition is available online for everyone online at g.co/routesofcervantes as well as through the Google Arts and Culture mobile app for iOS and Android.